Adolph Brodsky was born at Taganrog, Russia, on 2 April 1851. He began learning the violin at the age of four, and enjoyed his first public appearance at the age of 8, playing in Odessa. Following this concert he was sent to Vienna where he was entered as a pupil at the Vienna Conservatoire, to study under Hellmesberger. During his time at the Vienna Conservatoire, he played second violin in the Hellmesberger-Popper string quartet. Brodsky returned to Russia after completing his course at the Conservatoire. He spent some time touring as a soloist, and at the age of 24 was offered the post of assistant professor of the violin at the Moscow Conservatoire, which he accepted. 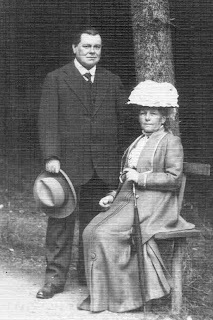 Adolph married Anna Skadowska in Sebastopol in 1880. The following year he became the first person to play Tchaikovsky’s Violin Concerto, declared unplayable by Leopold Auer to whom the original dedication was made. Tchaikovsky was extremely grateful to Brodsky for the support shown by him in playing his work, as demonstrated by letters now held in the RNCM Archives. 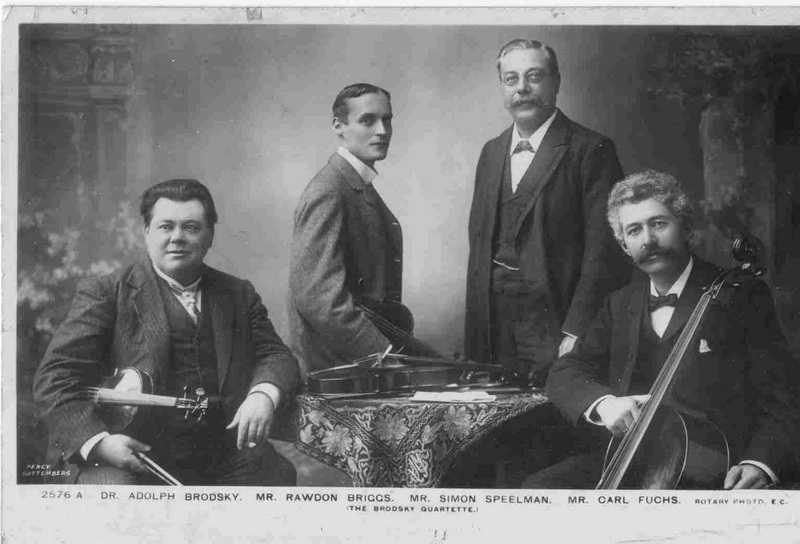 The Brodsky Quartet was formed in 1883, and originally consisted of Adolph as leader, Ottokar Novacek (a pupil), Hans Sitt and L Grützmacher. 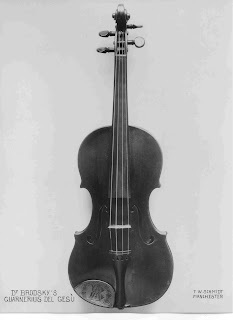 Novacek initially played second violin but later became the violist. 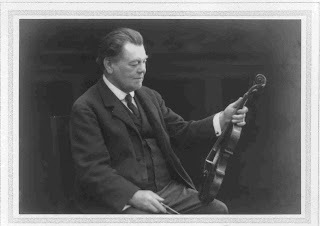 Hans Becker, another pupil of Brodsky’s, replaced Novacek as second violin, whilst Julius Klengel took the place of Grützmacher. The quartet made its first appearance in Leipzig on 6 Feb 1884. In 1895 Brodsky became concert master of the Hallé Orchestra and, after the death of Sir Charles Hallé in October 1895, became the second Principal of the Royal Manchester College of Music. He held this post until his death in 1929. For further information on the Brodsky collection, please visit www.archives.rncm.ac.uk (for the entire collection, do a quick search for the reference 'AB'). Please note, all pictures are copyright RNCM Archives and must not be reproduced without further permission.